The price of energy continues to increase at a rate faster than most people receive raises, meaning that the cost of heating, cooling and lighting the home is more expensive than ever. As new revolutions in technology and construction continue to mitigate increased energy consumption, more smart devices and electronic equipment being added to the home cancels out these gains. A full-scale war against energy waste and inefficiency is needed in order to truly revolutionize a home's energy consumption. With so many aspects of the home contributing to both energy consumption and energy loss, knowing where to begin can feel like a daunting ordeal. We're going to help make the process easier for you: below, you'll find six straightforward tips that can dramatically increase the energy efficiency in your home and ultimately lower your power bills. One of the single biggest factors in determining how energy efficient your home can be is the insulation used throughout it. From the attic to the floors and walls, insulation helps keep cool air inside during the summer and warm air inside during the winter. Different types of insulation exist depending on climate, with more effective insulation generally being used in colder climates. However, upgrading your insulation can save hundreds of dollars per year in energy costs. You may very well need to replace your drywall when installing new insulation, but the energy savings long-term more than justify the cost. Old, inefficient windows are one of the primary causes of energy loss. Not only are older windows less properly insulated when compared to their modern peers, but they also tend to become even less effective over time due to aging and gradual leaks. Some experts report that replacing your windows could save as much as 15% on energy costs: that's a huge deal when considering the price of energy. 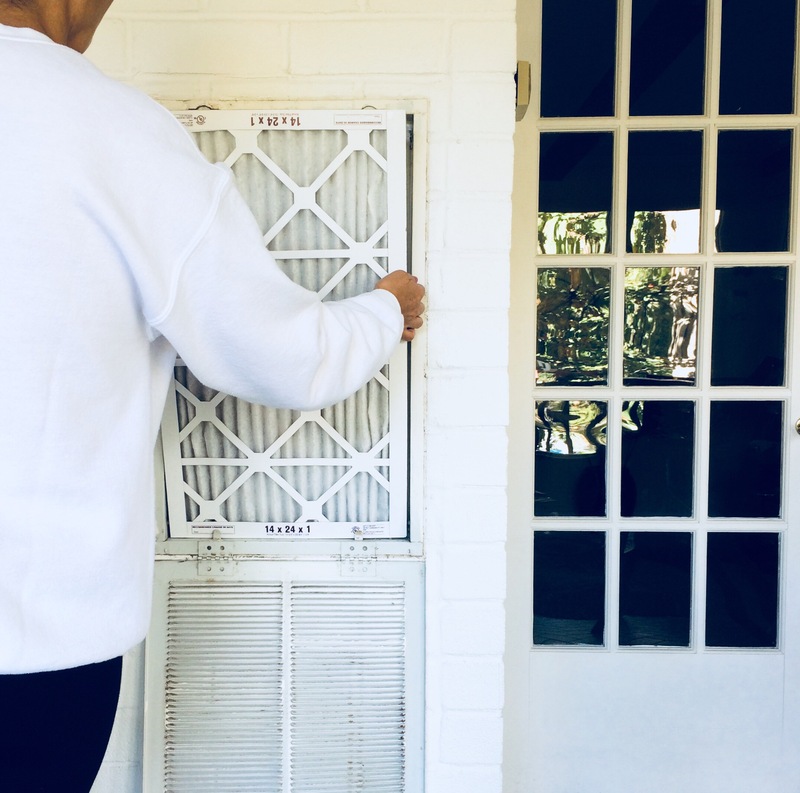 In the event you cannot afford to replace your windows outright, then consider treating and sealing them to mitigate some of the airflow that is almost certainly allowing air inside the home to easily escape. Mother Nature does a good job at regulating the climate on its own. A perfect example of the environment providing relief is when you stand underneath some shade on a hot summer day: it's much cooler than being in direct sunlight. Many homeowners are increasingly using landscaping and environmental factors to further improve energy efficiency during the summer. One great option is to plant a wide variety of trees near the home, which will inevitably provide shade. While this is certainly a long-term investment (unless you have full-grown trees shipped and planted), it is very inexpensive to start the process. While heating and cooling the air in your home is a huge portion of energy costs, appliances use a ton of energy. Their overall efficiency can make as much as a 50% difference on utility bills; wouldn't you like to save big? There are four main appliances that are responsible for the vast majority of appliance energy consumption: washers, dryers, water heaters and refrigerators. Especially if you are using older models, the amount of energy being wasted is enormous. We recommend investing in three new, energy efficient versions if possible. In the interim, you can save on energy costs by turning the refrigerator and freezer temperature up slightly and lowering the temperature of your water heater by 10-20 degrees. If someone were willing to pay you to renovate your home and save on energy costs, would you do it? Most people would say yes. Fortunately, there are many federal and state programs available to homeowners who wish to make energy efficiency renovations to the home. Some involve tax credits for appliances, while others may provide zero-interest financing for the purchasing of solar systems. Ultimately, you'll need to check with federal and state agencies to see which credits and programs are available in your area. Last but not least, understanding that there are literally hundreds of individual ways to save on energy costs means you have plenty of options. Determining which options are best for your home, budget and existing energy situation isn't that easy, though. Because of this, having a consultation with an energy-efficient expert is arguably the best approach. You may already have certain appliances that are producing a better bang for their buck energy-wise than would be earned by investing in new ones. Perhaps a new set of shingles would provide more energy value than added insulation. Ultimately, a thorough assessment of your home's condition can ensure that you spend your money wisely on energy efficiency upgrades. If you put to work any combination of these six tips, then you're practically guaranteed to save money on your utility costs. From small, simple changes in how you use energy to massive investments that deliver huge savings, there are always options when it comes to lowering both the cost of energy and your home ownership costs. This article was from Little House in the Valley and was legally licensed through the NewsCred publisher network. Please direct all licensing questions to legal@newscred.com.